Shirts With Random Triangles: First Trailer For Captain America: Civil War. Because, Why Not? First Trailer For Captain America: Civil War. Because, Why Not? Marvel has released the first trailer for the much-anticipated Captain America: Civil War. 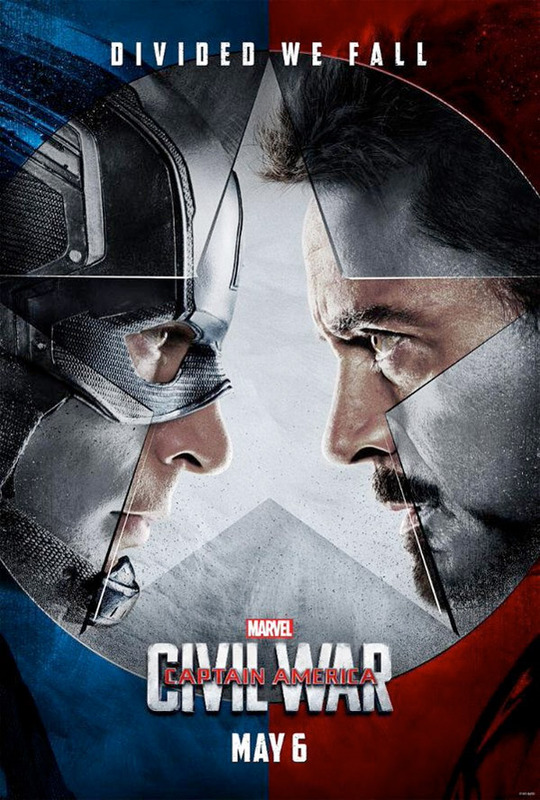 The film sees the heroes of the Marvel Cinematic Universe taking sides in a conflict between Steve Rogers/Captain America (Chris Evans), and Tony Stark/Iron Man (Robert Downey, Jr.). Also featured in the trailer are Scarlet Johansson (Black Widow), Anthony Mackie (The Falcon), Sebastian Stan (Bucky aka The Winter Soldier), Jeremy Remmer (Hawkeye), and Don Cheadle (War Machine), and notably Chadwick Boseman as the Black Panther, who makes his MCU appearance in this film. Not scene in the trailer, Tom Holland, as the Spider-Man, who makes his first appearance in the Marvel Cinematic Universe. Captain America: Civil War was inspired by Civil War, the 2006 Marvel Comics company-wide crossover whose storyline still reverberates in the Marvel Universe today. Captain America: Civil War is directed by Anthony and Joe Russo. It's scheduled for release on May 6, 2016. Labels: Captain America, Captain America: Civil War, Chris Evans, Iron Man, Marvel Cinematic Universe, Robert Downey Jr.